Many companies are currently tackling IoT projects, but a survey by Trend Micro shows that security experts are rarely involved. Companies are currently investing large sums in IoT initiatives or concrete IoT projects, but a survey by Trend Micro shows that security often plays only a minor role. The security provider surveyed 1,150 IT and security experts, whose companies spent more than 2.5 million dollars on the IoT last year. The result: Only 38 percent of the companies consulted their IT security teams as part of these initiatives and projects. By way of comparison, the IT department was involved in 79 percent of the projects, which shows that expert knowledge from the outside is definitely desired - but security does not seem to have priority. "It's amazing how IT security teams are excluded from IoT projects even though this clearly exposes companies to unnecessary cyber risks," says Udo Schneider, security evangelist at Trend Micro. "Our survey shows that too many companies around the world do not prioritize security as part of their IoT strategy, making them vulnerable to attacks. " They should actually be warned: companies had an average of three attacks on their networked assets last year. 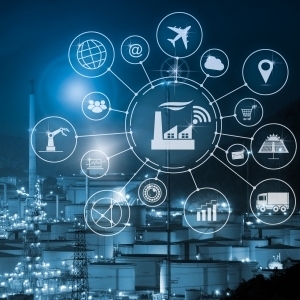 As many as 93 percent of those surveyed even stated that IoT applications have already caused a threat to critical infrastructures in their company at least once. However, only 53 percent consider the devices they network to be a risk. In the event of data loss, respondents fear a loss of customer confidence (52 percent) and financial damage (49 percent).